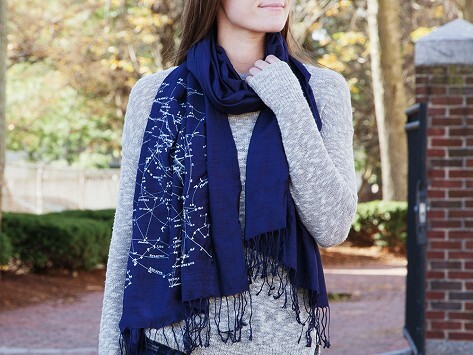 Slyly humorous and beautifully crafted, these pashmina scarves inject whimsy into your wardrobe. 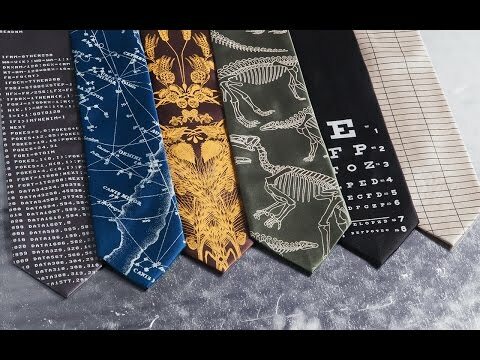 Whether it’s a geeky reference or just an offbeat print that speaks to you, these accessories are expressive and elegant—and beg for a second look. Each piece is hand-printed in Detroit onto luxe-feeling fabrics woven just for Cyberoptix. Each piece from Cyberoptix Tie Lab looks like a bespoke necktie or elegant pashmina scarf. But with a deeper look, humor and attitude emerge from the hand-printed, original designs. These playful ties and scarves may showcase not-so-serious prints, but the fabric looks and wears beautifully. It’s carefully chosen by Cyberoptix and woven just for them. The packaging is made by hand, too. When we first met Founder Bethany Shorb in 2009, her mission was to liven up the field of boring neckties. She is still dedicated to injecting major personality into typically ho-hum accessories, making pieces that are expressive, often funny, and always attractive. Bethany and the rest of the creative crew at Cyberoptix are committed to their hometown of Detroit, working with dozens of local charities that benefit youth employment, schools, and transitional work programs. They are serious about giving back, and about creating uniquely lovely accessories with a wink.